Now in its 23rd year of operation, MV Nangnuan continues to be as popular as ever. Sailing twice a week to The Similan Islands and Koh Bon, just eight lucky guests are able to join each trip, thus ensuring an unbeatably-personal service. 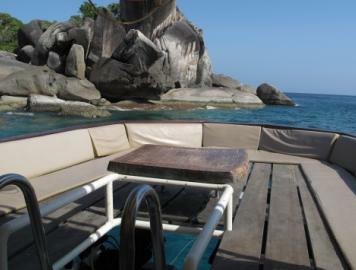 Unlike many other Similan diving safari boats which fill up their air-conditioned cabins with divers of all levels and a variety of budgets and needs, MV Nangnuan is designed for divers who don’t want to waste money or spend time in large groups. Those diving from this characterful boat need to be certified to 30m, but those who aren’t can easily become so on the first dive of the trip. 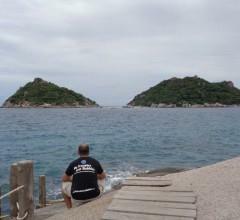 From then on, the remaining 8 dives are enjoyed around the best dive sites of the Similans and Koh Bon. Also in contrast to the majority of liveaboard boats which sail in the evening from Khao Lak & Phuket, MV Nangnuan departs in the morning. 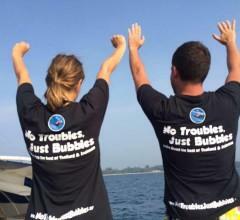 Guests enjoy nine dives over three wonderful days and two nights before returning to port at sunset on the third day. The eight diving guests and two dive staff sleep on the semi-exposed top deck of the boat, enjoying the (mosquito-free) sea breeze without the noise of compressors required for air conditioning. 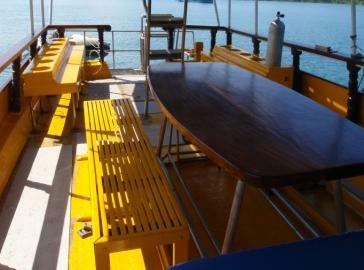 Meals are enjoyed on a large dining table on the lower/main deck, where the diving platform and gear can be found. For those who care more about the environment and great diving than they do about luxury, MV Nangnuan is the only choice for the best value Similan & Koh Bon diving trips. This boat is extremely popular, so booking in advance is essential. And NEW for 2018, the prices have been reduced to make it even-better value! Nangnuan leaves from Khao Lak's Tab Lamu Pier in the morning, around 8.00am. 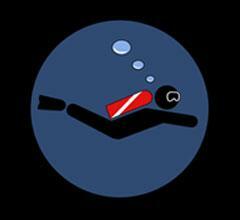 Guests need to arrive at the dive centre in good time to be taken to the boat. 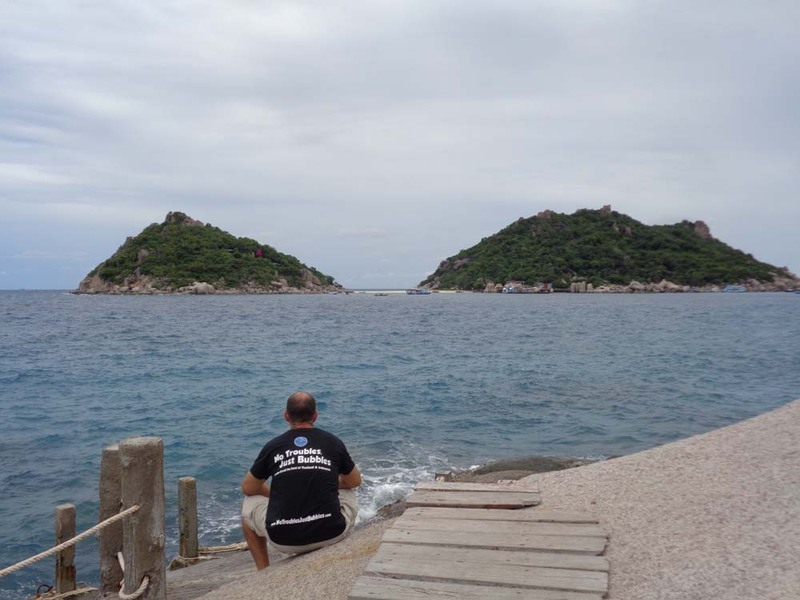 There are 3 dives per day, and at least one beach visit. Click below for a detailed Nangnuan itinerary. 5. Dining & Social Area . 9. Wheelhouse & Captain's Cabin. 10. Sun Deck With Mattresses. 17. Covered Sundeck  Hammocks & Sunbeds. 18. Open-air Sundeck  Mattresses. Length: 13 Metres (43 Ft). Width: 3.5 Metres (11.5 Ft). Engines: 6 Cylinder 168 HP Hino. Electricity: 220 V AC; 24 / 12 V DC ( 1 X 25 KVA Generators ). Compressors: 1 X Electrically Driven Bauer Mariner (190 Litres / Minute). Boat Crew: 1 Captain, 1 Cook, 1 Engineer. . Dive Staff: 2 Divemasters / Instructors. Tender: Rubber Dinghy With 15HP Outboard Motor. Accommodation: Sleeping Area For Eight Passengers. 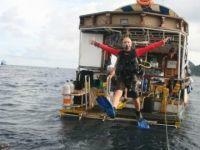 The most popular PADI course on MV Nangnuan is the AOW (Advanced Open Water Diver) course, and it is extremely good value. 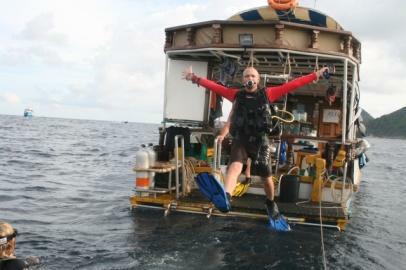 At 18,255 THB, guests get a day’s diving before Nangnuan departs, then complete the second half of the course on board. This price is unbeatable, and even includes everything you need. In addition, the lucky guests can enjoy more fun diving on the liveaboard trip, because most of the ‘learning dives’ are done locally. 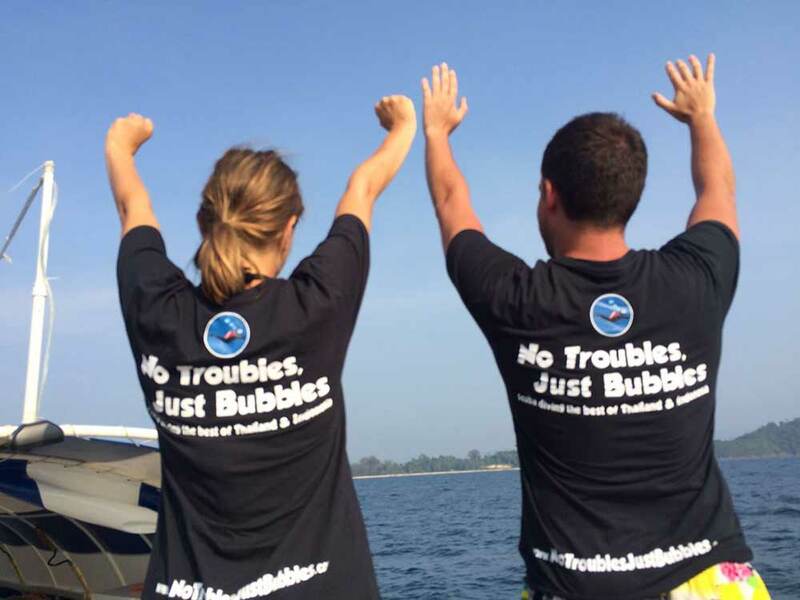 For Open Water divers who are not yet certified to dive to depths of 30m, the cheapest and quickest way to do so is the Adventure Deep single dive, which can be done on board, for just 1,800 THB. 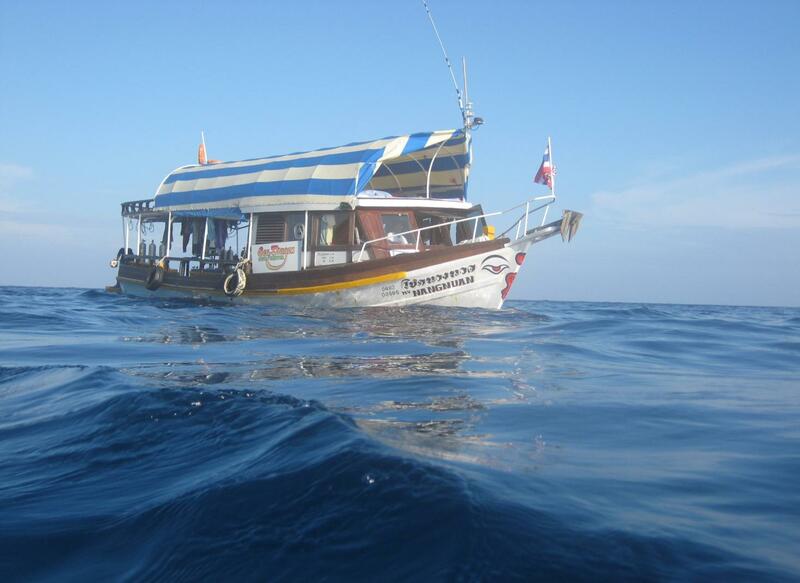 Nangnuan guests need to arrive at the dive centre in central Khao Lak before 4pm the day before departure. This is necessary to complete a little paperwork, fit diving equipment, pay the trip balance. And for the team to make sure that there's enough of the right food prepared for the morning departure. We loved our experience on the Nangnuan! The crew was amazing and helpful. The diving was great, and the boat was so peaceful. "It was a great trip!" MV Nangnuan departs Tab Lamu Pier every Sunday and Wednesday morning at 8am, returning to the same pier at 6pm on Tuesday and Friday evenings. At New Year the days of the week are slightly different.